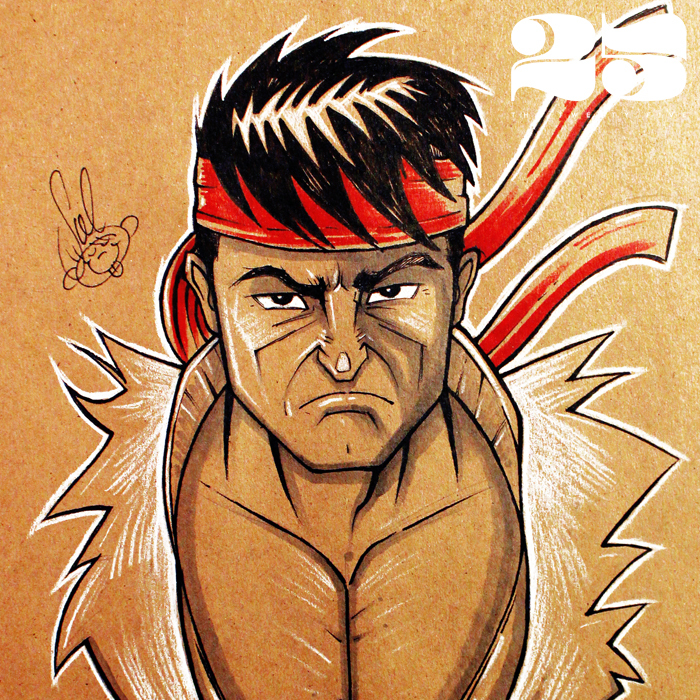 Last week Chun Li made The 25, so in keeping with the theme I'm adding Ryu. A character who's become even more popular in the last few years. 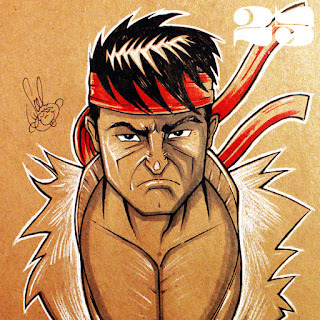 He was always one of my top choices when playing Street fighter 2. He's that lonely warrior that says more with his first than his words. That was always kind of cool to me as a kid. Especially since his pal Ken Masters, was the loud-mouthed American. I remember watching the Street Fighter 2 anime back in high school. At the time I was in animation class where we all consumed as much animation as we could get our hands on. Of course the movie focused a lot of Ryu's journey to fight M. Bison. And we we're all kind of shocked to see a shower scene with Chun Li. Back then we were still getting used to Japan's fascination with animated boobies. Still, the movie was decent (even though it was entirely in Japanese), the animation was great and we finally got to see these characters come to life; boobies and all. I'll always have a soft spot for this character just because he's a reminder of my childhood and those carefree days. We're half way through with this drawing challenge. Ryu is sitting in the store waiting for someone to send him on a journey to their home.